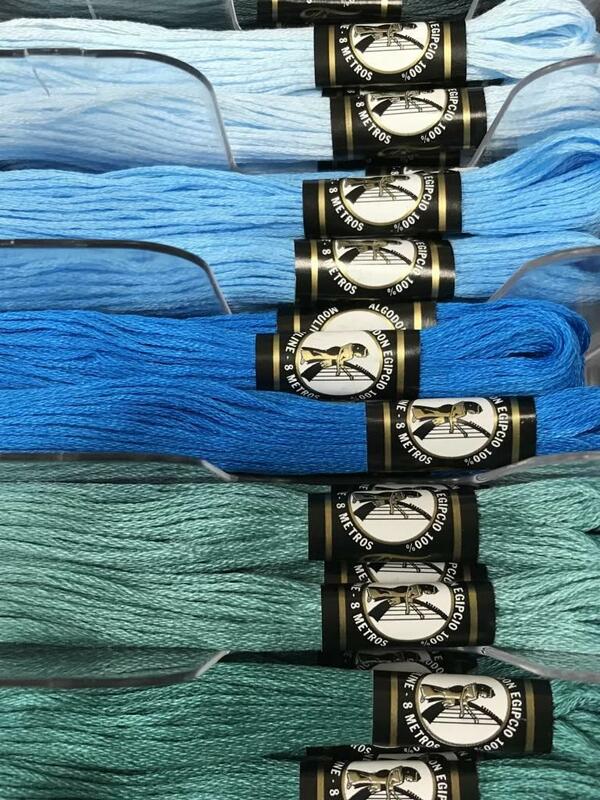 100% extra-long staple Egyptian Cotton, mercerized for strength, colorfast, bleachfast* and shrinkfast. 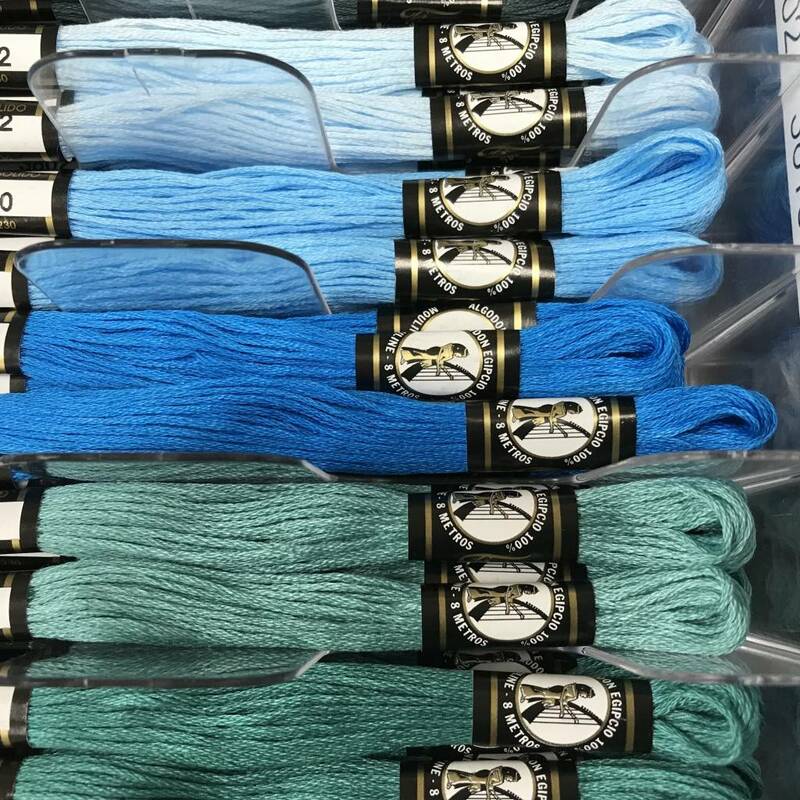 There are a total of 321 colors available for all types of hand stitchery including embroidery, cross-stitch, needlepoint, petit point, Hardanger, Swedish/huck weaving and more. Conversion Charts for DMC and Anchor floss numbers make substitution easy and accurate to original designs. Finca Metallic is a true metallic fiber wrap: polyester core with genuine 100% metal sheathing and no rice paper filler. 6-ply, divisible. *All colors are Bleachfast except 1163, 1166, 3802, 3810, & 3822. These colors are colorfast and runfast.